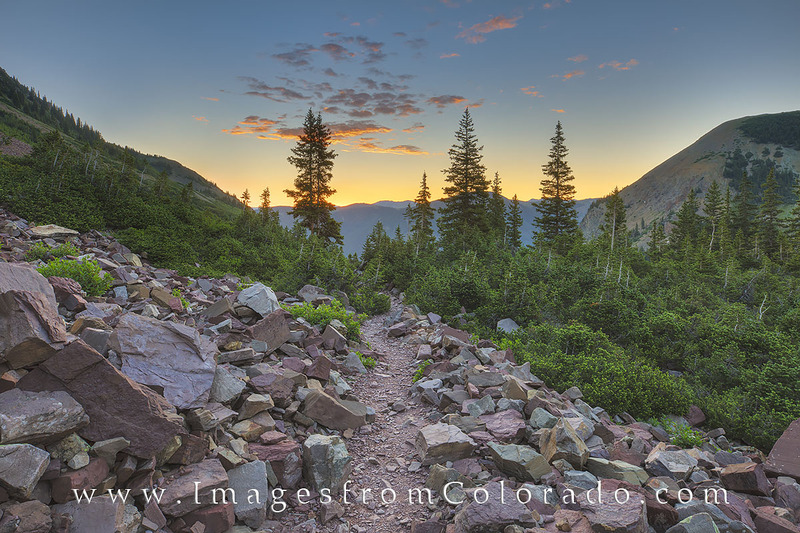 Sunrise comes to the rocky trail leading up to Cathedral Lake in the Maroon Bells Wilderness area. This photograph was taken as first light lit up the quickly fading morning clouds as I made my way towards Cathedral Lake. Further up, the destination was Electric Pass - 10 miles and 3,500' of elevation gain - and opened up stunning landscapes of the distant Elk Mountains. Photo © copyright by Rob Greebon.